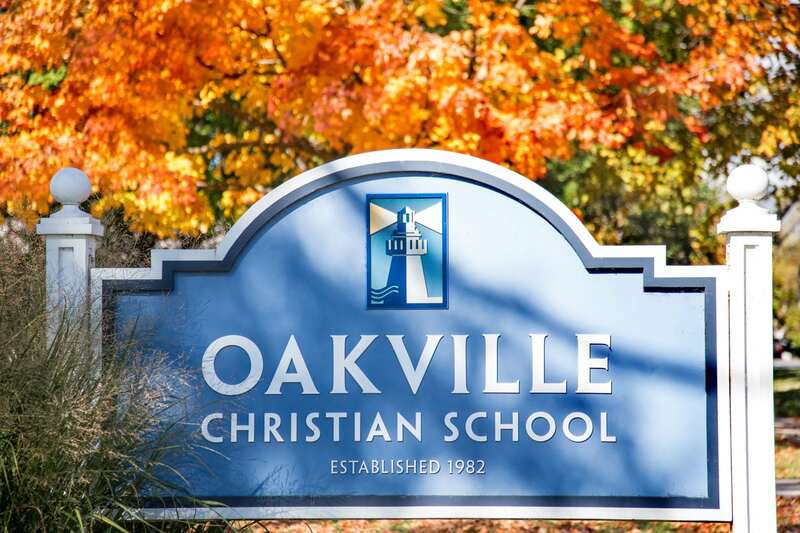 The curriculum at Oakville Christian School meets – and exceeds – the Ontario Ministry guidelines and provides strong academic and extracurricular programs in French, music, athletics and the arts. Curriculum is delivered by specialized teachers, with full rotary teaching in the upper grades. The school’s mission statement, “Nurturing Excellence in a Christ-centred Academic Environment” is the focus of all activities as students receive a developmentally appropriate and well-rounded education. Effective schools can make significant differences in the achievement of students. Student achievement requires well-articulated curriculum. We are committed to staying in touch with current education-related research and resources and examining our processes on a regular basis. Student achievement requires a safe and orderly environment. Student achievement is partially dependent on quality individual classroom teachers. We are committed to teachers’ on-going professional development in order for them to know their art more fully and deeply – so that they can become expert teachers, those who teach students the most important things in the most effective ways. Students are at the centre of the learning process and should be actively involved in making sense of the world around them in each subject area. Teaching is about maximizing the capacity of each learner. All learners require engaging schoolwork in order to develop their individual capacities so that they can develop into all that they were meant to be. Students need to accept responsibility for their own academic growth and progress. Everything a student says or creates is useful information in understanding that particular student and how instruction should be organized in order to meet those needs. Our goal is to optimize the quality of scholarship through differentiated learning experiences that take into consideration each student’s abilities, interests, learning styles and preferred styles of expression. Through an atmosphere of excellence and creativity, we provide challenging and appropriate educational opportunities for all students, encouraging each to reach their full potential academically, socially, spiritually, and emotionally. Every student learns and retains information in unique ways. An integral part of a student’s experience at Oakville Christian School is the journey towards understanding oneself as a problem-solver and a critical thinker. We at OCS feel that differences need to be celebrated. The Learning Strategies Centre at OCS is dedicated to coming alongside students, teachers and parents for the purpose of gaining an understanding of individual student learning and mapping out steps toward success. Learning Strategies assistance may include the teaching of time management and organizational strategies, accommodations to regular programming, the use of assistive technology, and one-on-one or small-group sessions. As a result, students with learning differences are equipped to recover needed skills and motivated to work towards greater independence. Students who demonstrate consistent mastery of subject areas or concepts are afforded the opportunity to enrich their learning through our Compacted Education program. For a further understanding of our program feel free to contact Allison Simao our Learning Strategies Coordinator at: asimao@oakvillechristianschool.com.